manila fashion observer: Santa Maria! 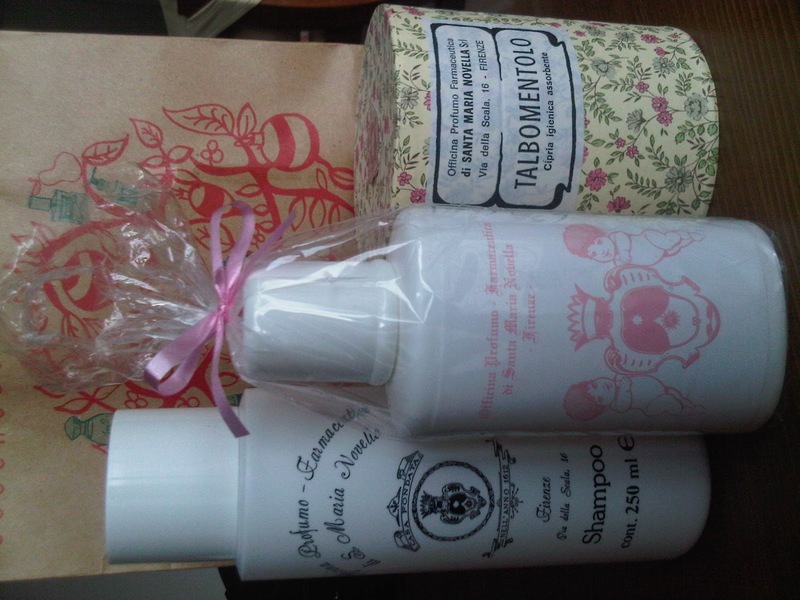 I received a package of Santa Maria Novella products a week ago from Therese of Rustan's, which was such a blessing because I was in dire need of a new shampoo, and Berry got herself a treat too! As soon as we got them, I just had to use them right away. Even Berry wanted to open up her new bottle of shampoo. Here's my feedback: the liquid shampoos smell divine (I'd say very Italian - rich, old fashioned, in a good way) and they just lather up beautifully. I could practically hear a church choir singing! These days, when I ask Berry to pass on her shampoo, she'd pick up the Santa Maria Novella bottle and bypass her Mustela shampoo beside it. Plus, the talcum powder simply smells pure and fresh, and the talc is so fine and feel like they were ground to the size of microns. They basically just slip onto the skin. No espasol feeling. Very luxurious, I tell you. I first came across Santa Maria Novella via their Lafayette Street outpost in downtown Manhattan. Which is just a lovely little place to stock up on their toiletries and things. If you haven't heard of Santa Maria Novella prior to my raving about it, (which is short for Farmaceutica di Santa Maria Novella), let me enlighten you. With the comeback of heritage brands like Pendleton and Spery Top-sider, the oldest pharmacy line Farmaceutica di Santa Maria Novella shouldn't be too far behind. Established by the Dominican Fathers around 1221, they started out cultivating and growing herbs needed to prepare medications and balms for the monastery's little infirmary. Soon after, they found themselves opening to the public. While the line is now privately owned, to this day, they continue to use the highest quality natural ingredients for their soaps, creams and scents. Production is limited and controlled based on the founding fathers tradition. You know how serious they are about it? The bottles come with handwritten control numbers, so you know that each bottle passes the scrutiny of a human, and not entirely through machines. Incidentally, Farmaceutica di Santa Maria Novella products are now available in Manila, at The Grandmall of Rustan’s Makati. If you haven't started on your Christmas shopping yet, (as I have, ooops!) this store might as well be our one stop shop! Because they've got everything from shaving sets for our brothers and dads, pampering products and perfume for moms, candles and lavander sachets for the girls in the family, and baby bath products for the little ones. Our girl friends will love the soaps and room scents too, I betcha! The products not only have a lot of history, they come beautifully packaged too. It will definitely look like you put a lot of thought and care in choosing your presents. After all, you didn't just settle with your stable of fall backs, these are Santa Maria Novella, hello! 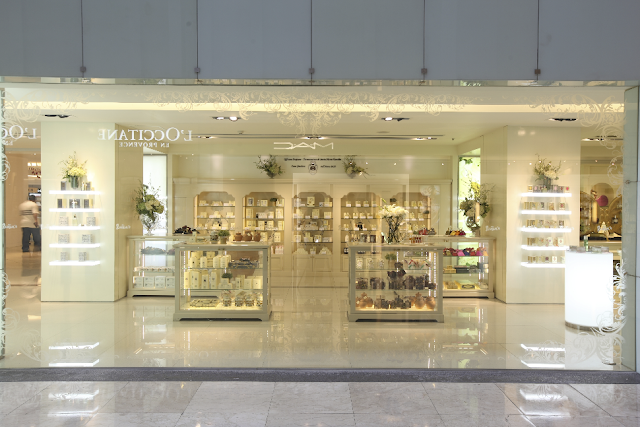 Prices range from Php 395 for Acqua di Santa Maria Novella (water used for its calming and purifying effects) to Php 6950 for colognes.